I want to build a mobile app called Walkwaves for exploring the city. When I walk around London, I want the app to tell me what interesting buildings or monuments are nearby. London is such a historic city, I think it would be a really fun way to explore it. Ideally, I'd like to just have the app running in the background and tell me (via text to speech) when I'm near an interesting place. 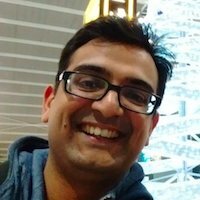 I'm writing this series of tutorials to show how I'm building this app and hopefully along the way, I can help you learn some React Native. I'm myself learning it as I build. I already know React, so the tutorials assume some basic knowledge of React. The whole app is quite complex, so I'm splitting it into many tutorials. In this first tutorial we're just going to build a simple app which can take a set of location co-ordinates (latitude, longitude) and convert them into a human understandable address or place name. First, let's get setup. Make sure you have Node installed. The official docs say that Expo is the easiest way to get started, so that's what I'm going to do. At the time of writing this tutorial, the latest React Native version of 0.57. The Blank project template includes the minimum dependencies to run and an empty root component. The Tab Navigation project template includes several example screens. Then cd into the directory and start the development server. If you know any React, this will look very familiar to you. 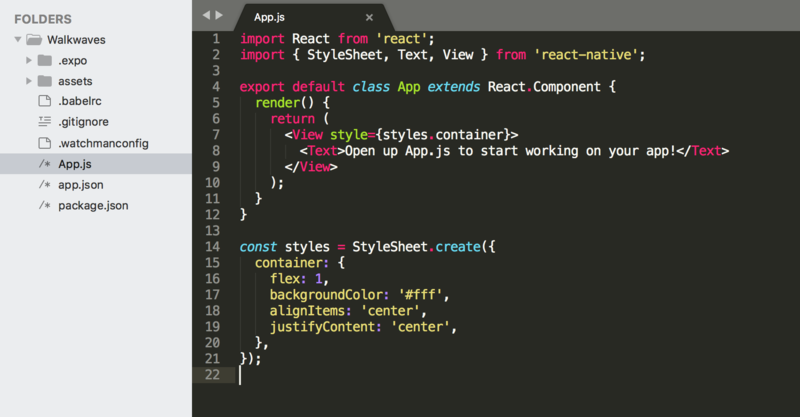 We import some components from the react and react-native libraries and then define the App component. App is a simple React component which renders some text on the screen, using the Text component (which is like a paragraph <p> in HTML) inside the View component (which is like a div). We want a text field where we can type in the latitude and longitude, a button to trigger the geocoding (the technical term for conversion to an address), and a Text component to display the result. Of course, our goal is to display it all on a map, but this is just a very simplified first step towards that. That doesn't look great, does it? It can do with some styling. We can style the default components directly but I found that it's not straightforward. For example, I wasted a lot of time trying to add a background colour to the Button, which is not directly supported (in the current version 0.57). The React Native Elements library looks nice and provides easy ways to style elements, so I'm going to use that. We can tap on the input field and enter text. Let's store the entered input value in state so that we can use it later. We also initialise a value for the result of the conversion, called address. So, now for the fun part! I'm going to use the OpenCage Data API for geocoding the co-ordinates. To be more precise, it's reverse geocoding when you go from co-ordinates to addresses, and geocoding when it's the other way around. OpenCage provides a very easy to use API and they have a generous free plan. You can sign up here and get your API key. NOTE: At this step, I started getting a strange error from the fetch library (which is a dependency of opencage-api-client), saying "requiring module fetch which threw an exception...". The error goes away when I run the app in remote debug mode. See this discussion for some more workarounds. If you find a more elegant solution, please let me know. It can take a couple of seconds to make the API call to Opencage, get the result and then display it. It would be nice to have some visual feedback when the geocoding is going on. The Button component has a handy prop called loading, using which we can display different text based on whether the button action is loading or not. Alright, so that's part 1 all done. 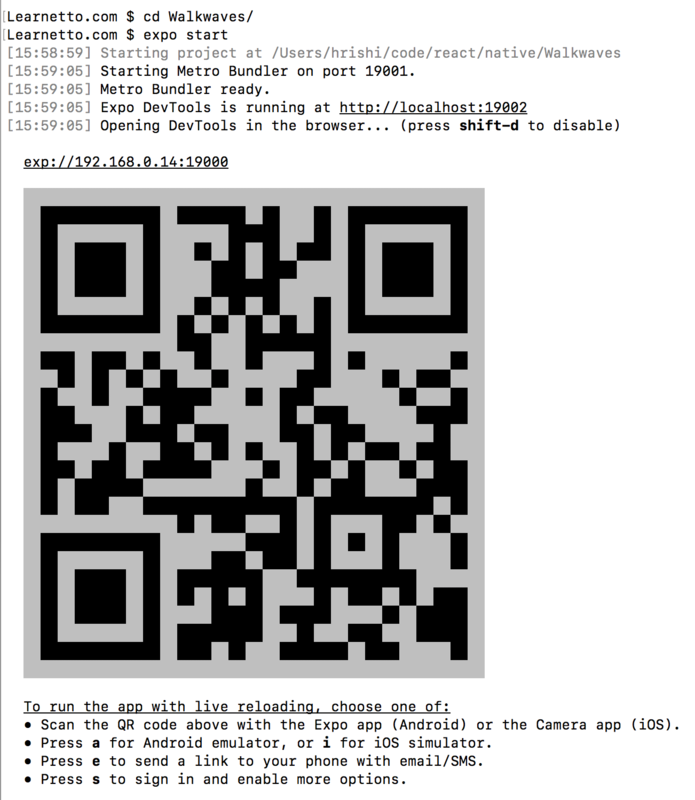 You can find the full code here. Remember you'll need an Opencage API key to follow the tutorial. In Part 2, we'll add a map view, use the GPS to get the current location and geocode it.